Waking up at 4am on Monday October 9th to the sound of exploding transistors was one of the most shocking experiences in my life. Over the last 48 hours, I stopped counting at 75+ friends who have lost their homes and have been deeply affected by the firestorm. Being called the "Tubbs Fire" and the "Santa Rosa Firestorm", this beast has devastated my area. It is for this reason I'm seeking each of you to help me in rebuilding this community. More About Our Plight Here. My sister survived the Gatlinburg fires and had a lot of insight on how to best help my friends. Seeing a number of GoFundMe pages appear over the last 24 hours had me thinking...Hey, what about the people who have yet to realize their full needs, or the ones who are unable to be so public in their asking for help? As an internet marketer and known entrepreneur, I'm doing what I know best to help support my friends and local community. I will tap my extended network of family, friends, clients, and partners to help spread the word. 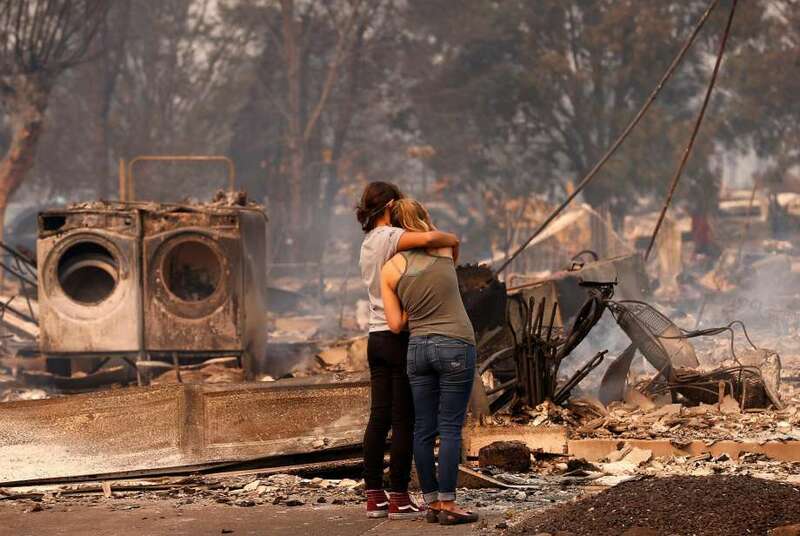 You can choose to donate to the collective cause on this page, choose one (or all) of my friends on our website ( www.helpfirevictims.com) , or if you're regional, donate household items (plates, silverware, TV's, furniture, beds) and deliver to the storage unit I've secured for this effort. Together we will rebuild. My ultimate goal will be to leverage all my local contacts and get a 3 to 1 return on all monies raised. It will take a village to heal from this tragedy. Donate $50 and get the entire collection; Pin, Keychain, And Band. I have set a goal of $10K to get this started. I have secured a very large storage unit and will be driving around gathering donations for large furniture and household items that will be stored until such time that those need it, want it. I will video where appropriate and share in the bounty created by this incredible community. Next, I have a network of local clients that I will start plugging once I get permission and will gather Gift Cards, Vouchers, items at reduced cost, and more from my local connections. Lastly, as a seasoned business owner and educated professional in the world of "RED TAPE", I will use the funds to give cash, fund rental deposits direct with property management companies, and help secure housing for those in need that I know their direct plight. All of this will be recorded and the story told of how your dollars were put to use. I was fortunate to not lose my home and my family is safe and all I want to do now is help my local community rebuild. Help me, help them! To date, I've compiled a list of 67 individual/community GoFundMe/YouCaring/Facebook fund accounts and will be vetting individual needs of each family/individual. My goal is to be a conduit in getting funds in the hands of those that need it most and help them get the most bang for their buck. 1 - Checks for those individuals that I know personally and are the most affected by either not having insurance or having lousy insurance. I will be taking a picture with each recipient. 2 - Funding projects that will help those in need. An example, is the shifter project that we worked on last week and successful help create hundreds of sifters made and passed out. UPDATE: Was able to get our first project going today based on the funding that you beautiful people have helped raise. The $969 bill that we split three ways based on two other sponsors, Wright Contracting & DOSS Trucking, helping cover the bill. Thank you for your support. These supplies will made over 300+ sifters that were handed out to those victims looking to find their valuable jewelry and precious metals. Because of this effort, a wedding ring and a diamond ring have already been discovered using these sifters. Help us spread the message. 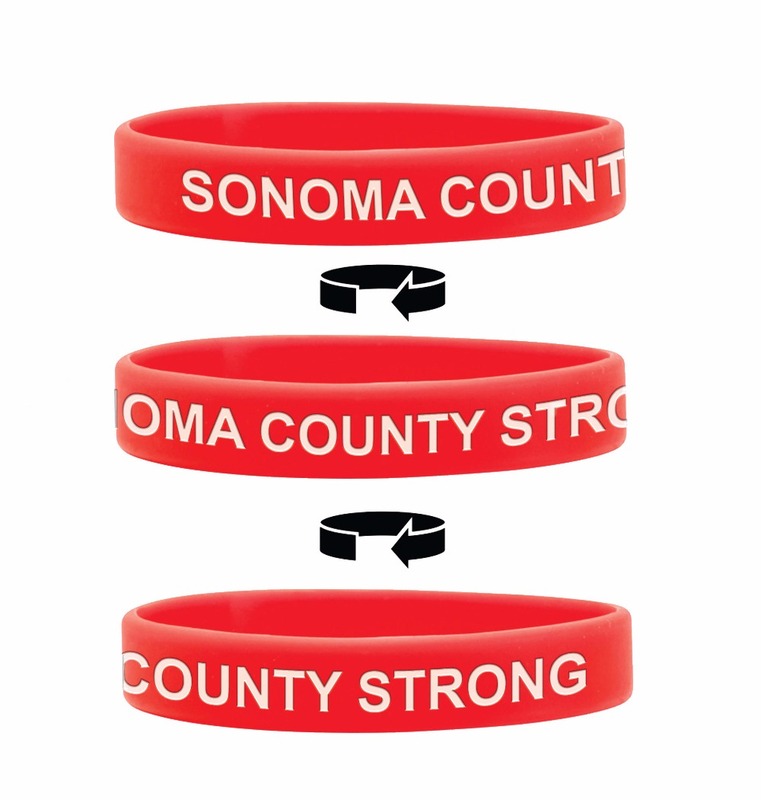 Make a donation of $25 and receive a #SonomaCountyStrong Band. 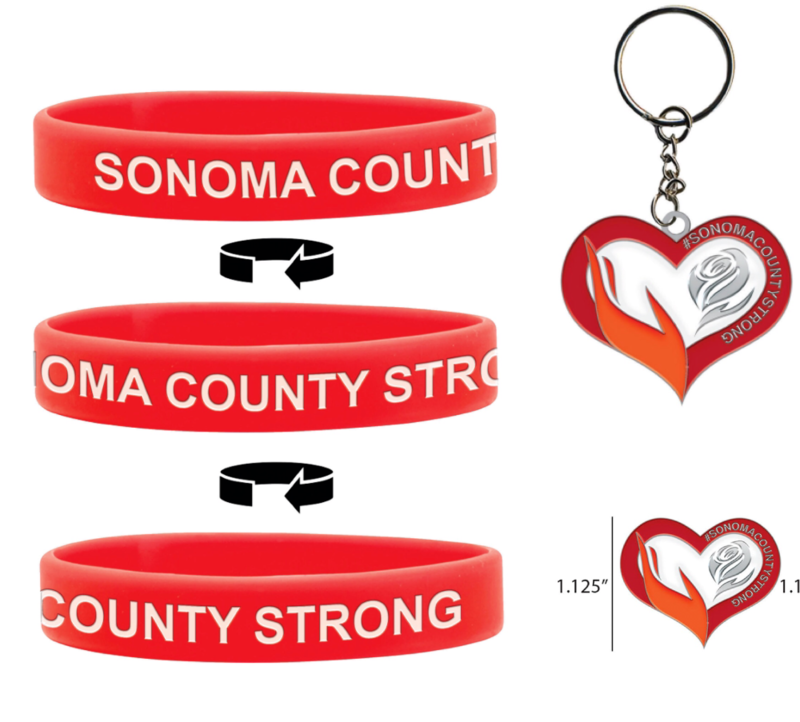 We will send you the Keychain, Pin, and Band showing your support for the HelpFireVictims.com effort. Ships the week of November 1st.